The Great Transition into an electrified economy is underway, but proceeding faster in some states than others. And no movement, backward or forward, takes place in this industry without the input of expert lobbyists. Every state has its own energy regulations, its own economic goals, its own priorities. The US energy map is a quilt of legacy systems, regional private interests, and political capital slowly redrawn by the new reality of disruptive technologies: solar, wind, storage, blockchain, microgrids. 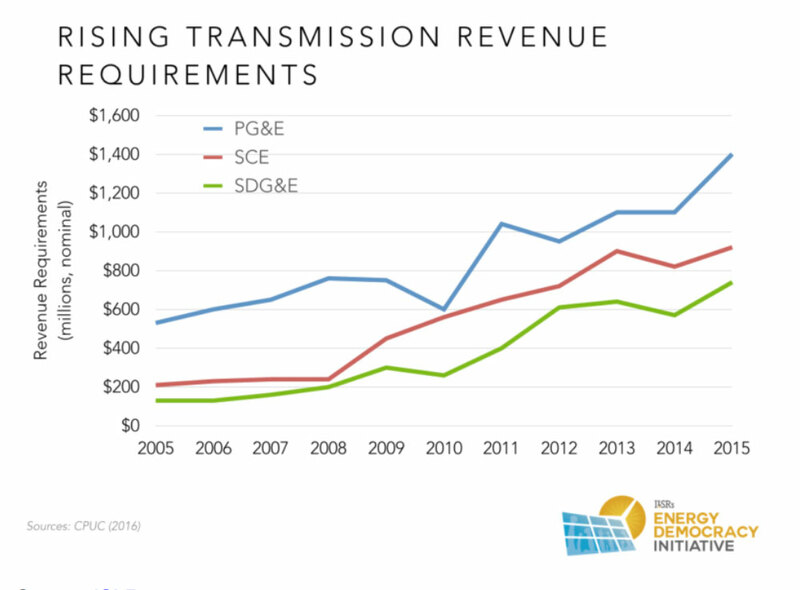 The movement toward Distributed Energy Resources (DER) is driven by economics. DER are privately owned wind and solar plants, not by the utilities; onsite and offsite plants that can deliver electricity at lower prices than investor owned utilities (IOU’s). In particular at the smaller scale of 5MW to 10MW systems, as shown in the analysis “Is Bigger Best?” by the Institute of Local Self Reliance. 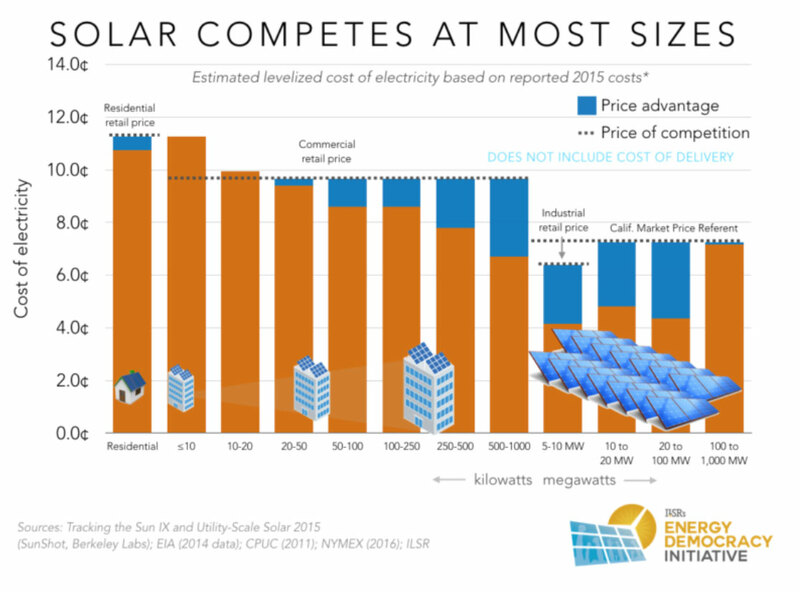 The sweet spot is not with large utility scale solar farms, but with smaller systems. Not because DER can generate electricity for less than utility scale farms, they can’t, but because utility scale farms have to transmit power over large distances and the cost of transmission is close to the cost of generation. DER have the competitive advantage. Local power is usually less expensive. This kind of knowledge is only available because of the quality work of advocacy groups who fight the good fight. They formulate ballot initiatives, they organize grass root movements, they advise investment groups, they educate legislators, they run the numbers. Without the combined efforts of advocates like the League of Conservation Voters (www.lcv.org); The Rocky Mountain Institute (www.rmi.org ); Vote Solar (www.votesolar.org ); CA100 (www.ca100,org); earth justice (www.earthjustice.org), SEIA and CALSSA, and all the others groups pushing the DER envelope, the investor owned utilities would continue raking in unjustified profits. The struggle to integrate DER is more intense in states where fossil fuel lobbies, or IOU lobbies are strongest, like Alabama, Florida, or South Carolina whose regulators just cut the rate a leading utility pays for electricity generated from solar farms thus increasing the profits Duke energy and SCE&G will make since they resell purchased solar to their customers at a premium. That ruling was the result of an expensive lobbying effort from the utility companies…. Or like in Michigan, where over 80 percent of voters say they want more solar but which ranks 32nd in the nation for installed solar capacity even though Michigan utility rates are among the highest in the US. This is where the utility companies block solar deployment with the complicity of regulators. And where lobbying by Vote Solar promotes the bipartisan Energy Freedom bills introduced last week. In California, the Energy Commission is about to mandate that all new homes be equipped with solar starting in 2020, and SB100 cleared the Senate and is up for passage in the Assembly. The bill would accelerate the renewable portfolio standards (RPS) to make sure that by 2030 at least 60 percent of purchased electricity would come from renewables. In New Jersey, legislators established a new community solar program, committed the state to 50 percent clean energy sourcing, and stabilized the state’s solar policy. The trends favor distributed energy as customers choose to produce their own electricity, and the old model’s resistance to change becomes a political liability. Policy is everything. In Vermont, the utility company gets it and works to increase distributed solar. Mary Powell, CEO Green Mountain Power. She believes having more solar customers will reduce maintenance costs and reduce the need to build more lines and maintain lines to meet peak demand. 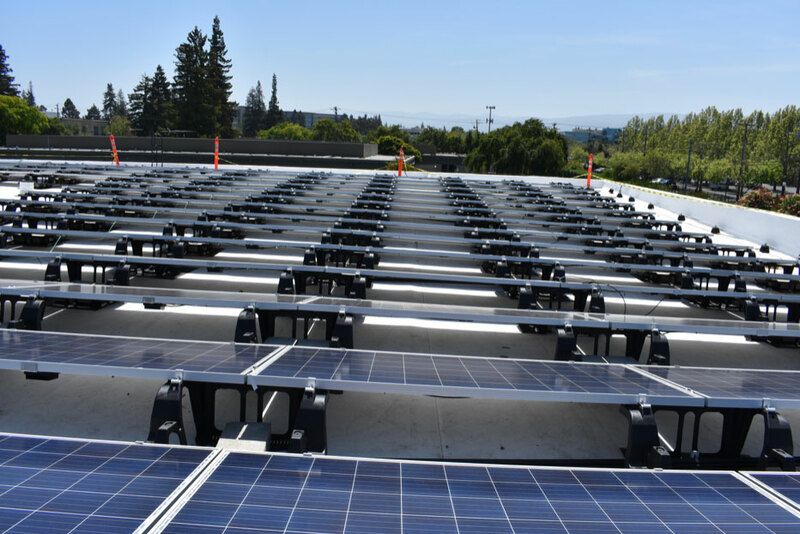 In Santa Clara the city owned utility, Silicon Valley Power, generates and sells electricity to its residents and businesses at about half the price charged by PG&E.